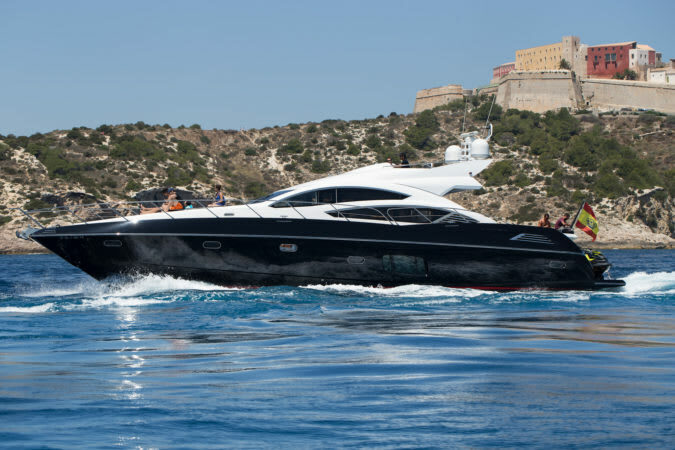 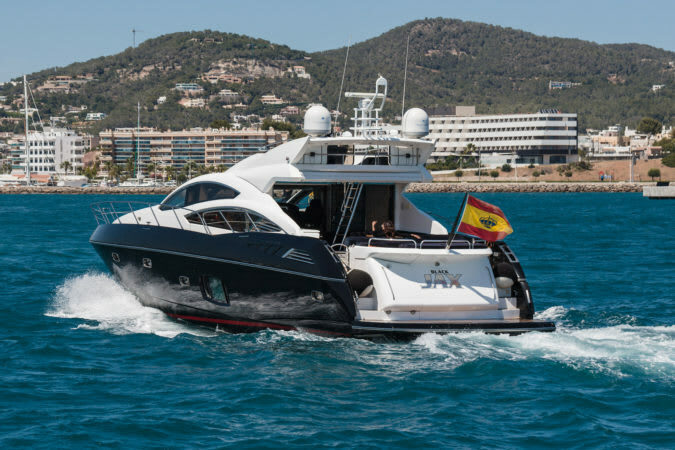 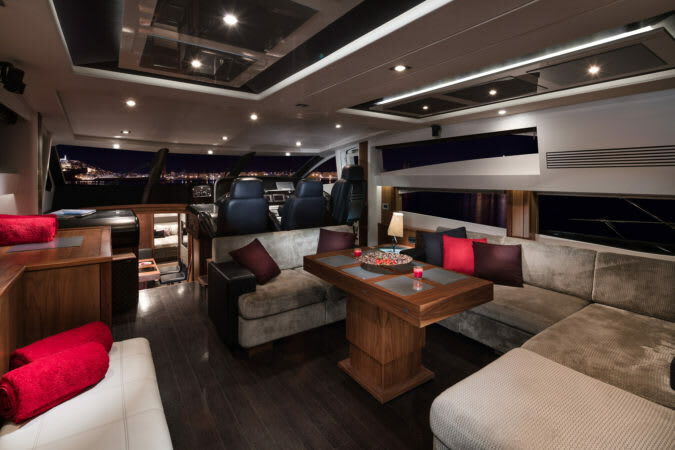 The 'Black Jax' is a stylish and modern luxury motor yacht, based in Ibiza and perfect for cruising or partying. 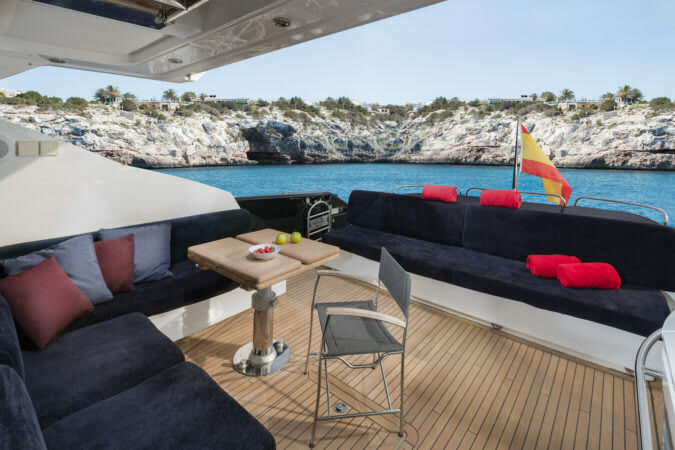 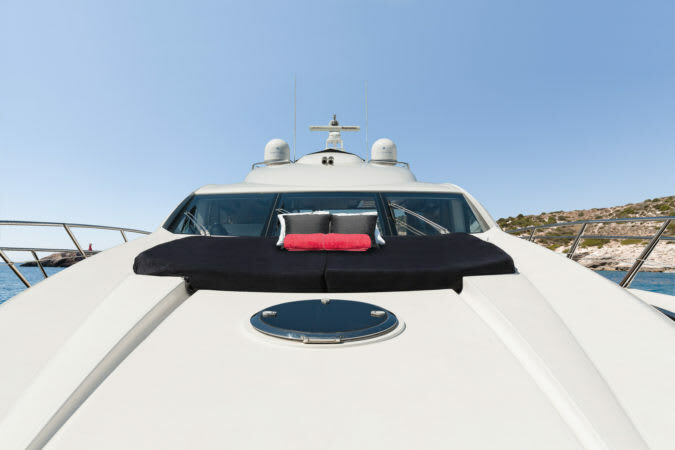 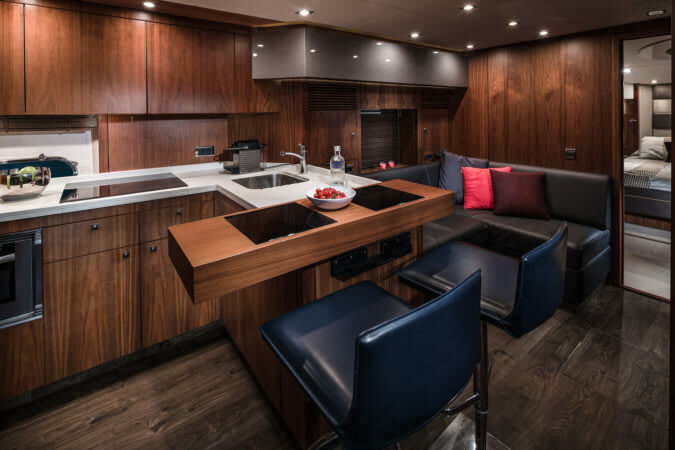 On her fore deck, you will find a comfortable sunpad, and the aft deck contains a spacious seating area. 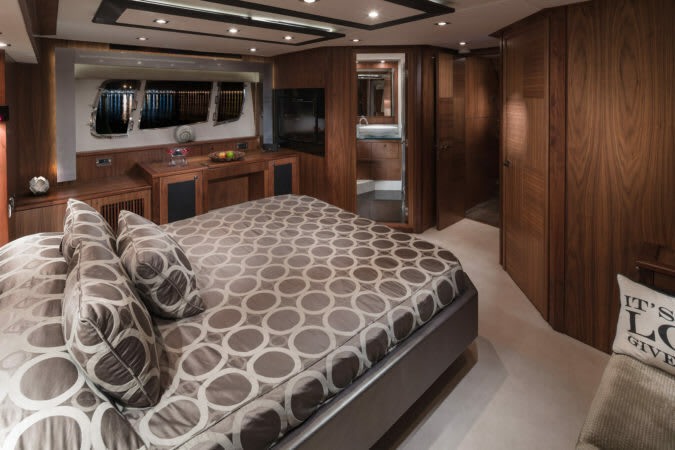 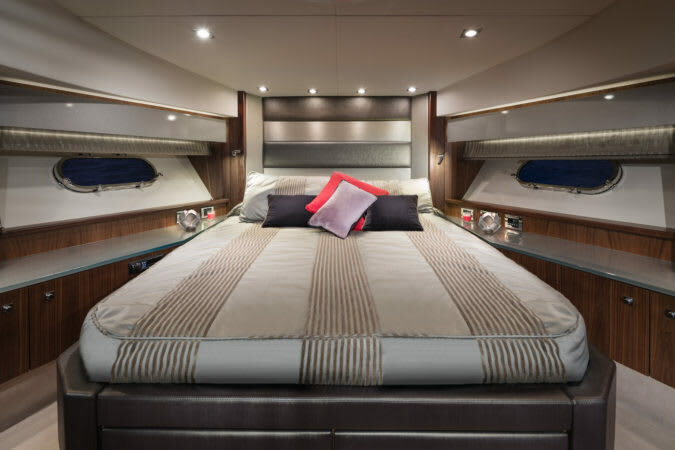 She boasts a bathing platform at the stern, a flybridge and a luxurious salon. 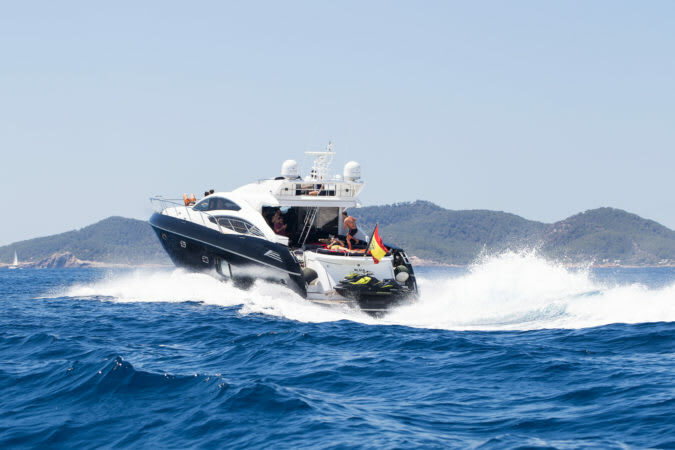 For your pleasure, she comes with a tender, jetski, wakeboard and inflatable donut, as well as snorkeling equipment. 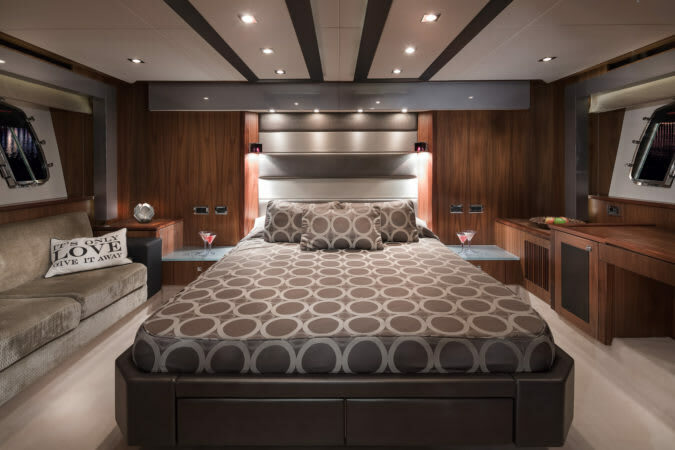 Sleeping arrangements consist of master, VIP and twin cabins. 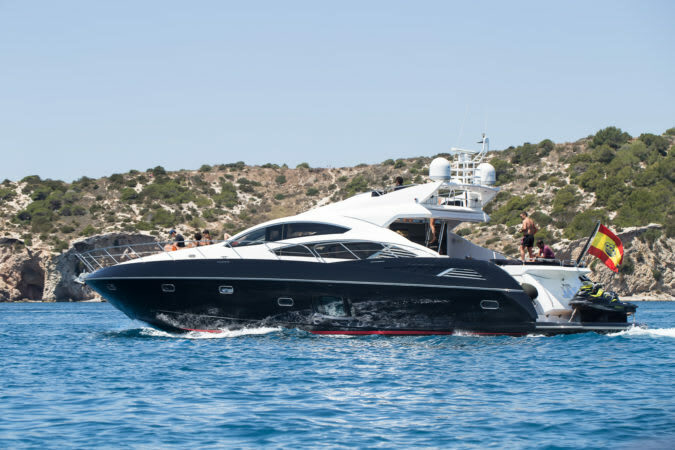 Available for day charters and overnight stays. 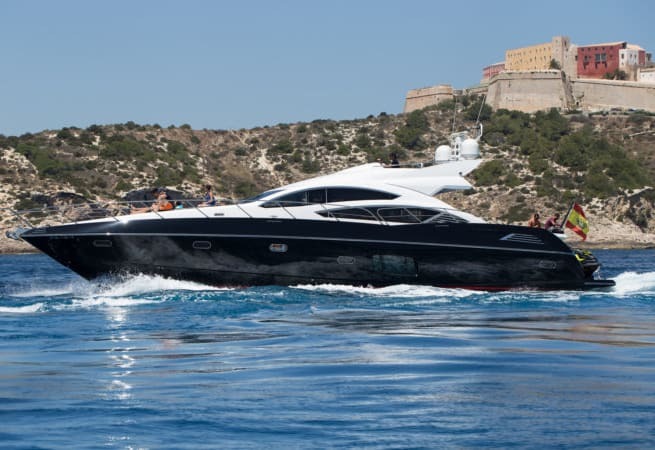 Prices start at €7260 per day (£6498 as of 16/08/2018) including VAT.